As you probably already know, there are several types of mouthwash available — some minty, some a bit fruity, some that claim to kill germs, and some that protect against gum disease and gingivitis. But do we really need so many? At my dental office in Alexandria, we know choosing a mouthwash can be overwhelming, which is why we’d like to explain the differences between them so you can pick the right one for you. Antiseptic mouthwash is the most recommended choice for those battling bad breath or fighting off an infection. These types of mouthwashes contain chlorhexidine gluconate, which is incredibly effective at killing dangerous bacteria and bad breath. However, if antiseptic mouthwash is overused, the teeth may become discolored. While most people receive a sufficient amount of fluoride through their tap water or toothpaste, some individuals can benefit from an additional supply. This is when a fluoride mouthwash may be recommended. Fluoride mouthwash can help make teeth stronger and protect them from decay. It’s definitely not appropriate for everyone, especially those under six, but your dentist in Alexandria will be able to help determine if it’s right for you. 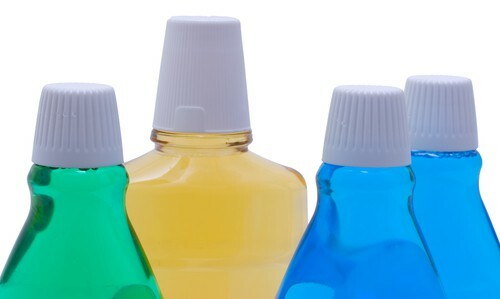 Similarly to antiseptic mouthwash, cosmetic mouthwashes can help freshen breath. What makes them different, however, is they really don’t help protect teeth or fight off bacteria. If used in addition to brushing, a cosmetic mouthwash can be effective at giving you a burst of freshness, but that’s about it. Even if you choose the mouthwash that helps your specific dental concerns, swishing with it once or twice a day isn’t enough. In order to really help your mouth get and stay healthy, mouthwash should only be used as an additional step in your oral hygiene routine. Keep brushing twice a day, maintain flossing at least once a day, and don’t forego checkups with your dentist in Alexandria. Still have questions about which mouthwash is right for you? Schedule an appointment at my Alexandria dental office. We’ll be happy to help. Welcoming new patients in Alexandria, Old Town, Del Ray, Potomac Yard.